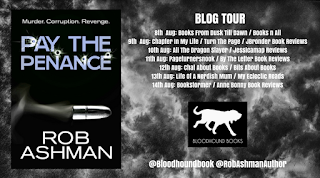 Today Life Of A Nerdish Mum is taking part in the blog tour for Pay The Penance by Rob Ashman, the third book in the Mechanic Trilogy. 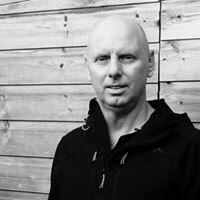 Guest Post - House-husband and writer. I am lucky enough to be able to write full time. My wife Karen has a responsible job and works hard to keep me in the luxury to which I have become accustomed, so I have taken on the responsibility for running the house. Well, it seems only fair. My day starts at 6am when the radio goes off for the news. I get up, make tea and fix Karen’s pack lunch while she gets ready for work. Then I make a start around 6.30. If I am in full blown writing mode the words start flowing straight away. It’s as if my characters have been waiting for me to wake up and they compete for my attention, each one eager to tell me their side of the story. I write in bed until about 8am, then get up and have breakfast and check my social media. By 9am I am back at my desk, well when I say my desk, I mean whatever room feels right. I write in the dining room, my office, the lounge, the kids bedrooms and out on the patio when the weather is good. I find that helps to keep the dreaded writer’s block at bay. I also write in two local cafes and the library. I like to keep moving around, it keeps my thinking fresh. I normally stop for lunch at midday while catching up with the news and respond to Facebook and Twitter messages. Though sometimes I am so engrossed in my writing that I lose all sense of time. This normally culminates with me running out of steam and starving hungry, I look up from my work to find it’s 2.30pm and I haven’t moved. I try to be really disciplined with social media because it eats up the time. To help this I switch off the wifi on my laptop to ensure I am not tempted when I should be writing. If I want a break I do the food shop or the washing which helps me get things straight in my head for the next time I am sat at my keyboard. The time flies by and in the blink of an eye it is 6pm when I stop to prepare dinner. Cooking is a great source of relaxation for me, I reckon I am really a frustrated chef. If I am on a roll I will start work again at around 8pm and write until I’m done. There are times when I finally pack away my laptop in the small hours of the morning. When the voices are in full flow you have to go with it. My friends are hugely supportive of my writing and are always asking how I have spent my day. I tell them that I watch day time TV in between taking naps. They are fine with that. When I heard that there was a new M.A. 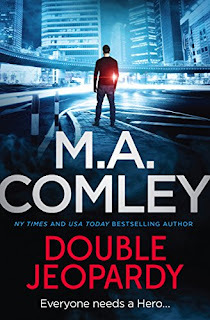 Comley book coming out and it was the next in the Hero series, I waved my arms around wildly to make it known that I was really looking forward to reading it. 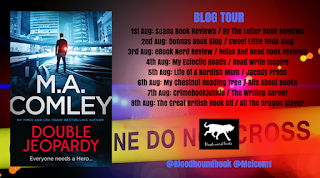 Therefore I am extremely happy to be taking part in the blog tour from Double Jeopardy today and sharing my review. Successful entrepreneur, Ross Spalding, has everything to live for; a thriving business, a stunning new home, and a high society wedding to his beautiful fiancée to look forward to in the coming months. That is, until his life comes to an abrupt, gruesome end. 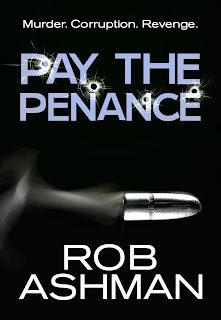 DI Hero Nelson and his team need to dig deep to find the reasons behind someone wanting Ross Spalding dead. As more people connected to Ross also die, some in suspicious circumstances, the suspect list grows beyond all expectations, until a major clue presents itself and spins the investigation off in a totally new direction. However, Hero’s personal life is also dealt a major blow when his parents are faced with a life or death situation. 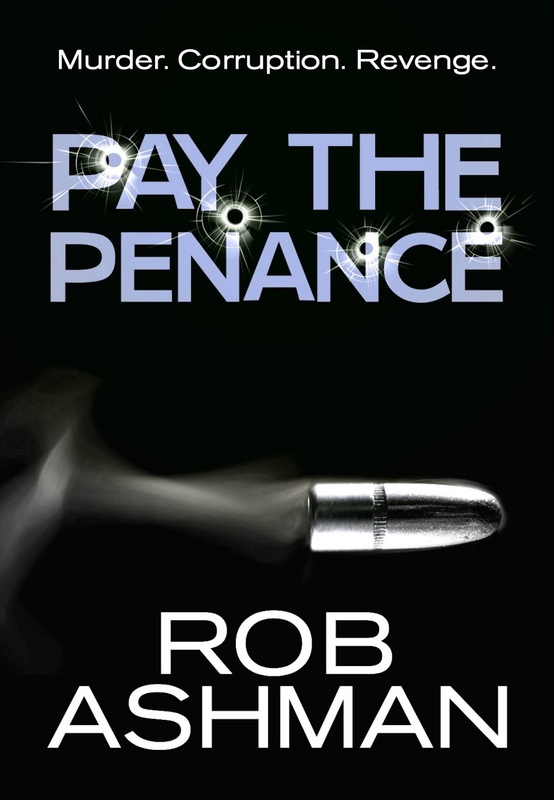 He is forced to put his personal problems aside when the murderers are revealed and Hero is faced with a tight deadline in which to apprehend them. 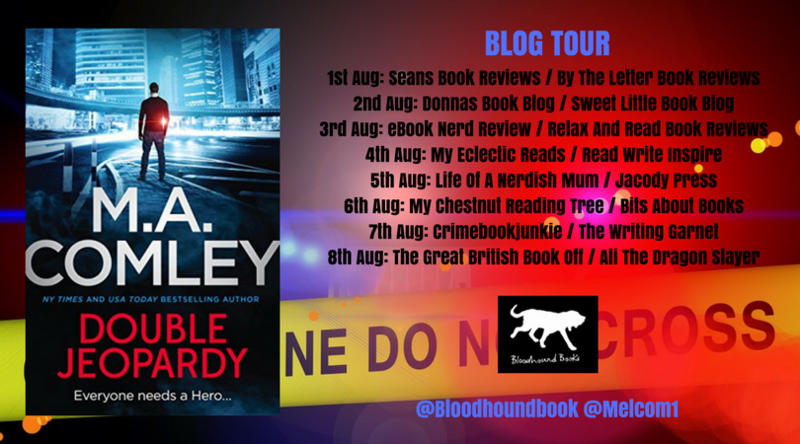 Double Jeopardy is the fourth book in the Hero series, but don't let that put you off as it can very easily read as a stand alone (though I do recommend you read the previous three first as they are all very good). There are some things mentioned from In Plain Sight, but nothing that takes you out of this story. During In Plain Sight, I really struggled to bond with Hero, but that all went out the window in Double Jeopardy and I really enjoyed and liked him as a character. I couldn't tell you what was different this time, but I am very happy that I now like him as I said last time, he's a nice guy and a good detective so I don't know what my problem was. As well as having quite a big case going on, Hero has a lot of personal things going on and it was really nice to see the interactions with his wife, children and family. It was interesting seeing him deal with things that are happening and how he tries to balance them with making sure he's doing his job to his best ability. His wife is so supportive and that's so good to see in crime novels as you see a lot of single detectives (both male and female). The opening sequence is gripping and I instantly liked Ross Spalding and was rooting for him, even knowing that his end was coming. It was so well written though, I really hoped the synopsis was wrong and that he was fine! Even though it was only a short opening chapter, I really felt that his character was well fleshed out. Overall another brilliant book and one that I couldn't put down as I really wanted to see what had happened and who had done it! A definite recommendation to me. New York times, USA Today, Amazon Top 20 bestselling author, iBooks top 5 bestselling and #2 bestselling author on Barnes and Noble. 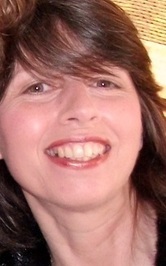 I am a British author who moved to France in 2002, and that's when I turned my hobby into a career. I'm fortunate to be represented by a top New York agent. I share my home with two crazy dogs that like nothing better than to drag their masterful leader (that's me) around the village.